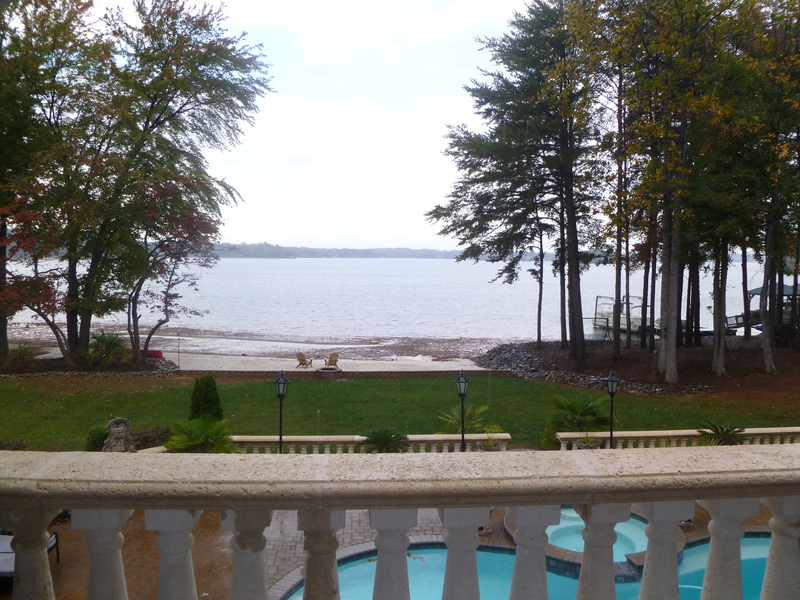 Surrounded by luxurious touches, this waterfront home features elegance at its finest on 1.44 acres. Drive down over 130 yards of a stamped concrete driveway and pull into an oversized 3-car garage complete with custom wood carriage doors and beautifully crafted outdoor lighting. Enter the home through a unique stone curved alcove into three fully appointed levels of comfort. Walk on Travertine stone flooring throughout this spacious, open plan home into a state-of-the-art sound proofed theater with 120” screen or any of the 4 over sized bedrooms, 7 bathrooms (5 full, 2 half), screened porch or massive mid-level balcony overlooking scenic Lake Norman. Relax on the lower covered patio deck or soak in the in ground hot tub with friends. 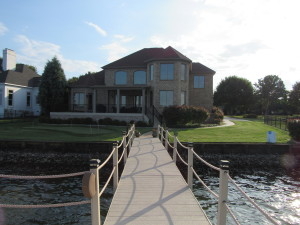 Journey down to the lake where a beautiful Teak wood covered deck with built-in benches and lighting connected to a 30’ dock complete with boat lift await – perfect for entertaining!